Crathes Castle: A National Trust for Scotland castle with extensive grounds and a stunning walled garden. Cowden Castle – Japanese Garden: Following a restoration project that was started in 2014, the garden recently opened to the public. The Garden is open Wed- Sun, 11am-5pm, until 28th October 2018. The Royal Botanic Garden Edinburgh has something to enjoy throughout the year. Cambo Gardens: open all year. St Andrews Botanic Gardens: Open all year. A hidden treasure. 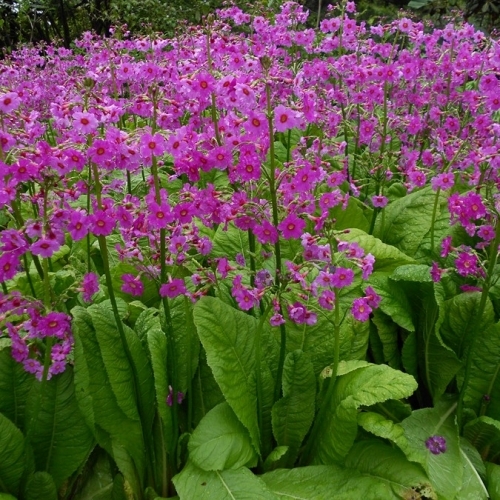 Willowhill Garden: Open by arrangement 1st April – 30th September. Well worth a visit. Cluny House Garden: A wonderful, woodland garden near Aberfeldy complete with red squirrels. You can still visit over the winter months as there is always something to see. Open all year, from 10 am. Kirktown Garden Centre: Garden centre with food hall and restaurant near Stonehaven. Ashbrook Nursery: Offers a comprehensive range of plants, many of which they grow ‘hard’ with minimal heat so that they are well prepared for the rigours of life in a Scottish garden. 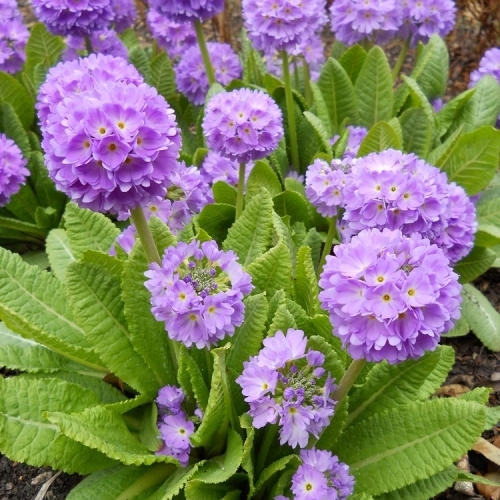 MacPlants: Growers of herbaceous perennials, alpines, ferns and ornamental grasses. Smeaton Nursery Gardens & Tearoom: Large selection of trees and shrubs. Pentland Plants: The largest grower of bedding plants in Scotland, growing over 50 million plants each year. The Secret Herb Garden: Passionate about herbs. Beeches Cottage Nursery: Hardy Cottage Perennials, some unusual varieties, grown at 800+feet, all in excellent condition and very good value. A small family run nursery with very knowledgeable owners. Closed Mon & Tues. No card facilities, cash and cheques accepted. BennyBeg Plant Centre, Crieff: Endeavour to ensure they only stock plants known to be suitable for Scotland. Quercus Garden Plants: A small Scottish nursery growing a range of perenials that can cope with challenging conditions – ie on the shaded side of a hill at 850 feet. New Hopetoun Garden Centre: A well-stocked garden centre that seeks to focus on variety, choice and quality. The Mill Garden Centre: Central belt garden centre that aims to offer a selection of plants suited to the local micro-climate which is colder and wetter than either Edinburgh or Glasgow being approximately 185m above sea level. 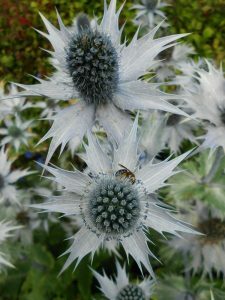 The most serious flaw in the system, from a Scottish perspective, was the then standard RHS H4, defined as “hardy throughout the British Isles”, but in reality, many plants were not reliably hardy in colder/inland gardens even in parts of England, and many more were tender in Scotland. 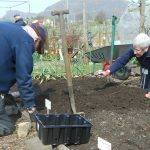 To help gardeners in Scotland they assembled an impressive group of Scottish horticultural expertise, to consider which plants should receive a Scottish Gardenplant award. Sometimes there was agreement, sometimes not. 500 plants were awarded the Scottish Gardenplant Award. 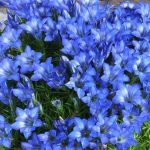 It is not a definitive list (and there will be new varieties that should be considered) but it is a useful list to point you in the direction of the most reliable, tried and tested garden plants that are the best of their type for Scottish gardens. 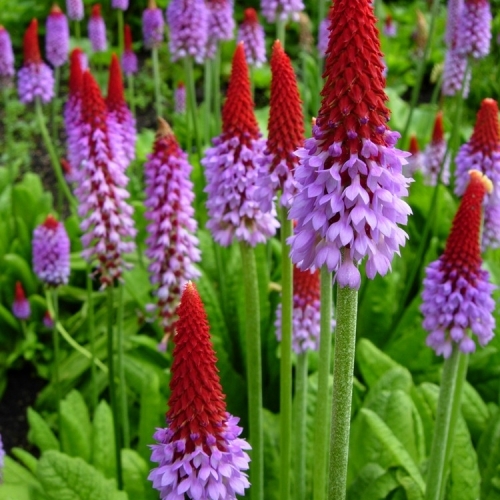 Primula pulverulenta is a vigorous example with a preference for moist, even boggy soil. (Grows to approximately 60cm (24″). 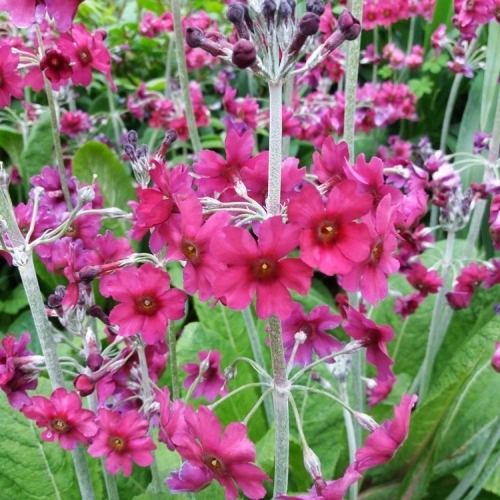 Similarly Primula japonica – there are numerous named hybrids of varying colours, for example Primula japonica Appleblossom, Primula japonica Miller’s Crimson, Primula japonica Postford White – all have a preference for a moist shady places but are easy to grow.